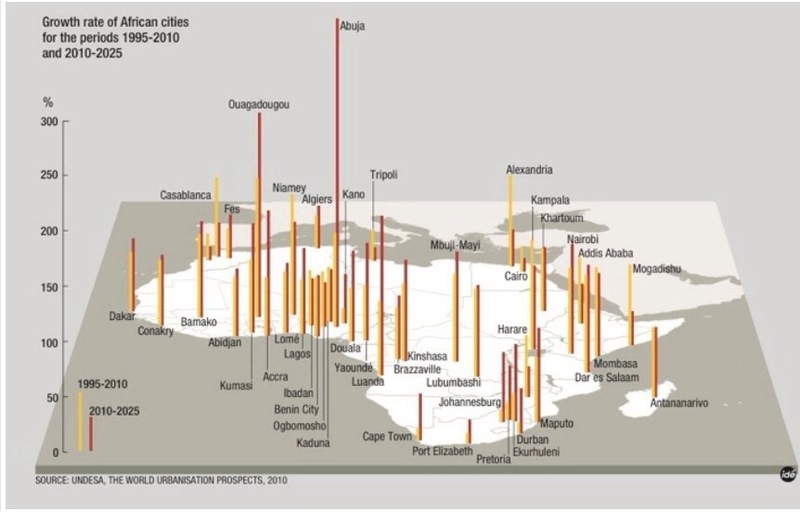 This article from The Africa Report rehashes the need for urban planning for Africa’s rapidly urbanizing population and then focuses on laying out the four ways that planning can be funded: “raising taxes; state transfers; cooperation agreements; and appeals for loans.” The article also promotes the UN’s panacea of decentralization for Africa’s ills, which gets thrown out there a lot as a buzzword without much thought (without distinguishing the more common decentralization of bureaucracy from the more important decentralization of actual power), but in this case connecting it to the example of Fashola’s autonomy from Abuja and his social contract of real services in exchange for taxes works well. The call for cooperation and communication between Africa’s 15,000 mayors is also an important point. Is the slogan of the Lagosian Mayor Babatunde Fashola, but the author of this op-ed, Femi Aribisala, is beginning to wonder if by “dogs” Mayor Fashola doesn’t mean “poor people” in his vision of the future Lagos megacity. 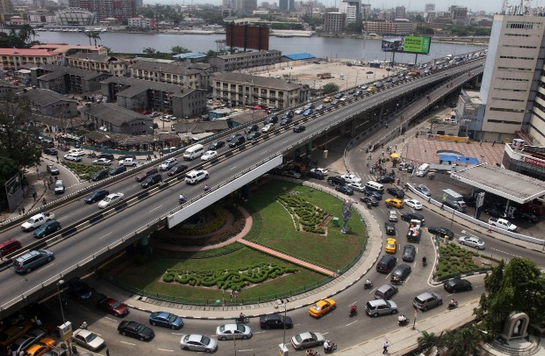 The article claims that poor people are being rounded up in the night and transported out of Lagos and that visas may soon become a requirement to enter into what Mr. Aribisala thinks has become a city for the rich man. While acknowledging the effective governance of Fashola, he questions who speaks for the urban poor–those who cannot afford a home in Lagos now and certainly will not be able to purchase a plot on Eko Atlantic (if they’re even allowed on the new island in the first place). He raises a needed inquiry into who is driving the narrative of Fashola being a savior of Lagos and wonders if the slum residents might disagree, instead preferring a governor such as Baba Kerere, who introduced housing and education programs targeted on the urban poor during his term in the early 80s. Fashola also has what he calls a “social contract” with the residents of Lagos–pay taxes and receive services–see this article by Howard French in which Fashola glows as an organizer and revitalizer of Lagos life, growing tax revenue from $4 million per month to over $101 million per month while still only receiving revenue from only 3 million of the 8 million working residents of the city. French’s portrait of a benevolent mayor investing in infrastructure that improves the everyday life of Lagos is challenged by Aribisala’s insights into the fact that one way Lagos collects revenue is through tolls on paved roads that then make those roads inaccessible to the destitute whose livelihood may have come from peddling or or driving a motorcycle taxi on those highways, evoking for me similarities to the history of how American highway systems severed black communities and physically cutoff urban blacks during the 50s and 60s. How Fashola reacts to these criticisms will be interesting to follow; the comparison that comes to my mind is of Kagame in Rwanda and the international and business praise that he initially garnered for his organization and development of Rwanda in the aftermath the genocide, and the subsequent muddling of that narrative resulting from reports and stories have been written from listening to the perspective of people living in Rwanda (Hutu or homeless Kigali residents) who do not view Kagame in such rosy terms (see this recent nytimes article based on an interview where the author confronted Kagame about some of the allegations against him). Kagame seems to be getting a little cagey in light of these criticisms and that leaves me feeling uneasy about Rwanda’s future. The initial narrative of Fashola could be seen in a similar light–he and his predecessor, Bola Tinubu, have brought Lagos out of a dark period that is not widely understood by western observers (like the genocide in Rwanda) and have transformed the city in ways that are appealing to western visitors, but of course now challenges to that version of history are appearing. At the end of French’s piece he recounts an episode where Fashola was confronted by the vigorous and healthy Nigerian press, in which he claims Fashola seemed to revel in their challenges and address them head on–hopefully Lagos’s government continues to directly address its critics.